When thinking about remodeling your basement to be more family-friendly, the possibilities are endless. Where do you start? We have compiled the most important ideas and considerations to make when building your perfect family space. Having a special place for you and the whole crew to read, hang out or watch a movie is usually what sparks a basement remodel to begin with! Built-in shelving for movies and books, a space for your family, cozy lighting, flooring and furniture make for the perfect home gathering area. We all know that kids take up space. They want room to run, play and of course, keep their toys, books and games. A dedicated, cohesive kid space makes a great addition to your family room. Open floor plans make basements feel spacious and comfortable. Some strategic shelving or a built-in cabinet and a little paint can give the little ones a sense of their own space. There is rarely too much storage space for toys, books and more as your little ones grow, so don’t be shy. Whether natural or artificial, the right lighting in your family space is essential. If possible, having well placed windows for plenty of natural light will make your space feel larger and help you save on lighting costs. If windows are not an option, there are plenty of new choices for overhead lights, accent lights, warm fireplace light and more. There are few things better than offering space for your guests to stay and relax in your home. Having a private bedroom for them in your newly remodeled basement will make them feel cozy and comfortable, and allow you to all enjoy your time together to its fullest extent. A small powder room or even a full bath in your new space is a valued asset to your visitors and your family while you’re spending quality time together. 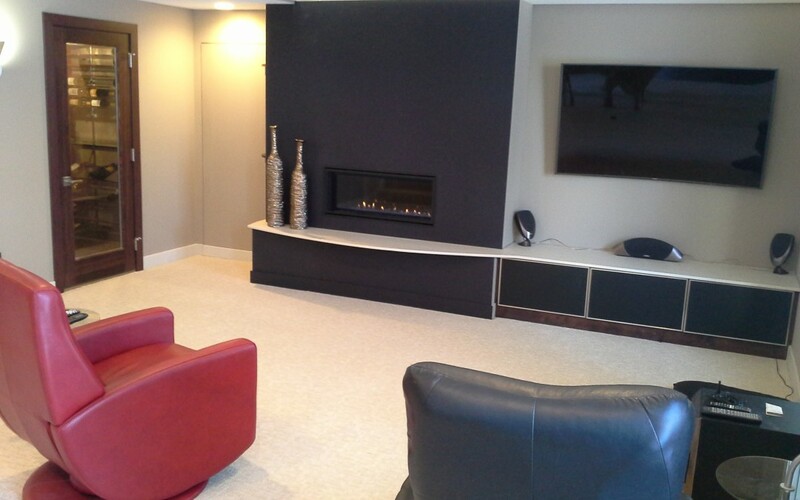 Contact us today to see how we can make your basement remodeling project dreams come true.